The rebound of winter weather is a reminder the change of seasons can be a slow turn. A longing for warmer temperatures is soothed by reading poet JoEllen Kwiatek’s Eleven Days Before Spring. 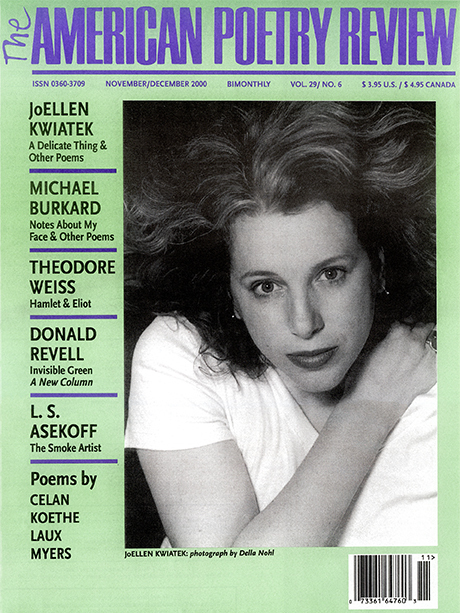 Recipient of a Pushcart Prize and winner of the 2014 Iowa Poetry Prize for Study for Necessity, JoEllen graciously shed her quiet reserve to sit for this cover photo in 2000. 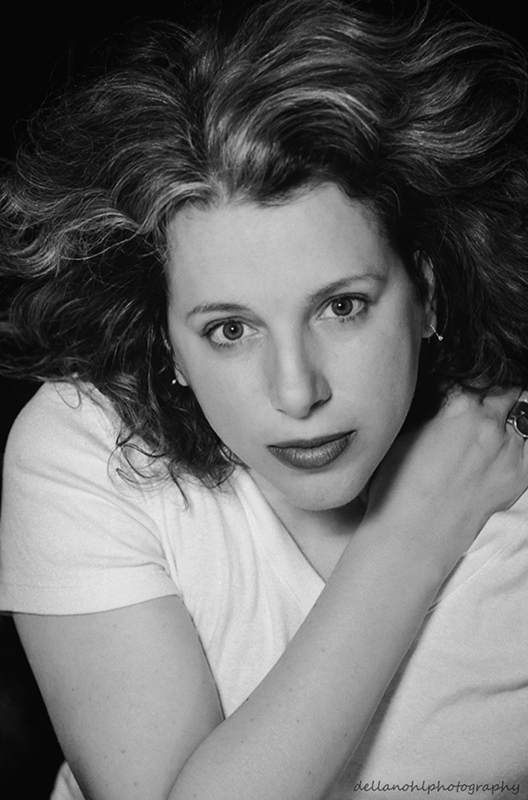 Joellen IS a great poet and a great person, an impressive person – and Del you have captured so much of her- it’s a photo of beauty and grace. Thank you, Leo! It is such a pleasure to hear her wit, her talent, her voice again as a guest speaker of the Syracuse University Creative Writing Progam’s Raymond Carver Reading Series. Thank goodness the program directors had the presence of mind to record her appearance. Thank you for the kind words–and publicity. I am maybe the least photogenic person on the planet, to the extent that a teacher once said to me, How is it you lose I.Q. points in a photograph? So it is one of the blessings of my life that you agreed to photograph me. As anyone who visits this site can see, you are a wonderful artist. I am always moved by the soulfulness of your work, its depth. And there is always depth–to the inventiveness and beauty and even humor in your work. You inspire me. Thank you. JoEllen! I will always be grateful for your trust in me. The camera reveals who you are – beautiful, open, smart.